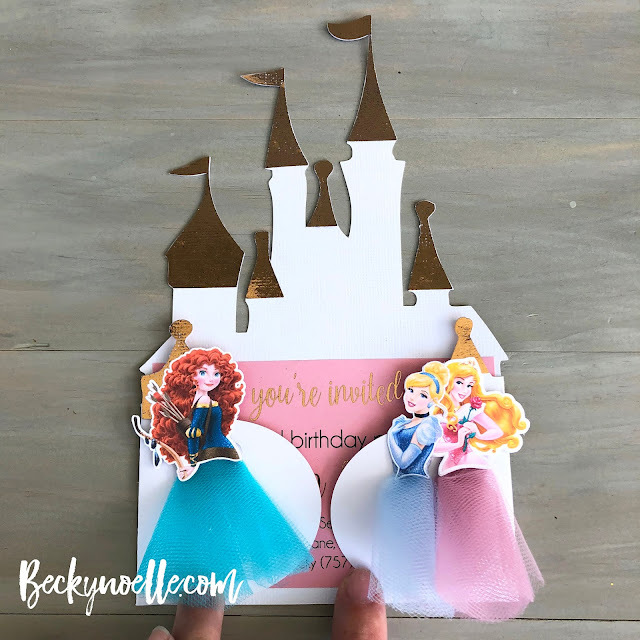 I've got lots going on this week! 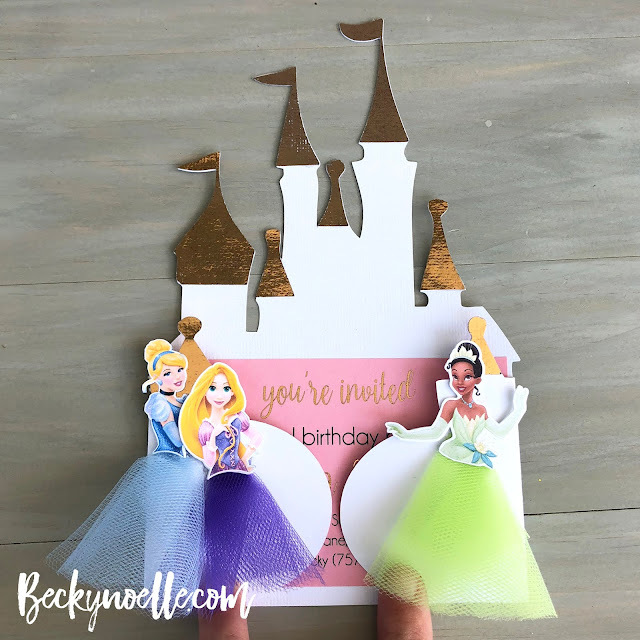 My baby turns two on Wednesday, we get to meet Bree's kindergarten teacher on Thursday, family starts rolling in on Friday, Bree and Emma's birthday party is on Saturday, we have good friends spending the rest of the weekend with us, and then Bree starts kindergarten on Tuesday! and I have a bunch of new fall/winter stamps that are just begging to be used! 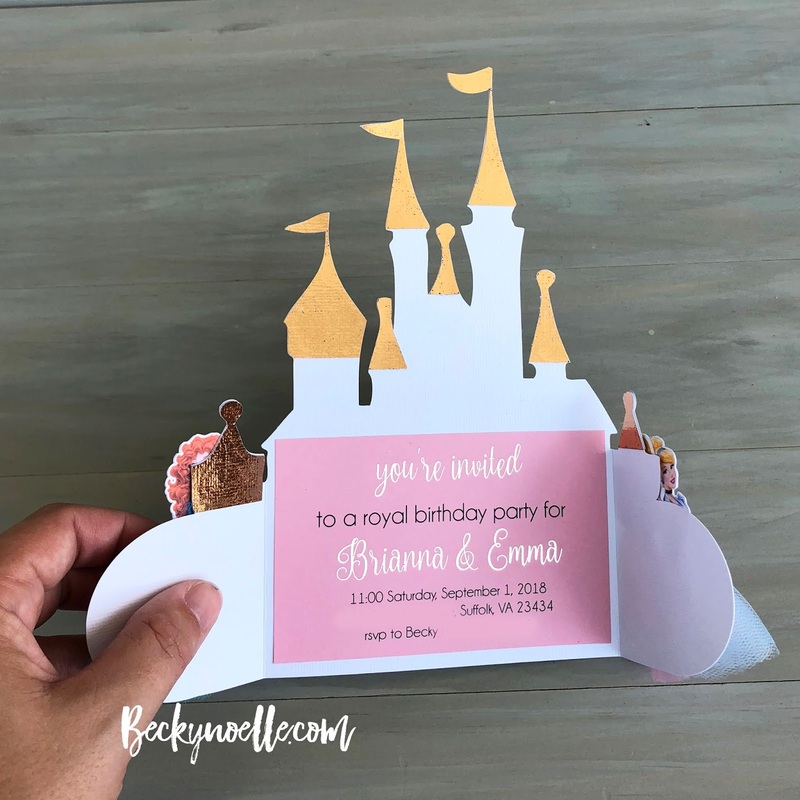 I'm actually keeping this party a bit low key (seriously, my previous plans included turning my kitchen table into a carriage) But all of the party prep is almost done, I just have to finish cutting out wrappers and toppers for the cupcakes at this point! 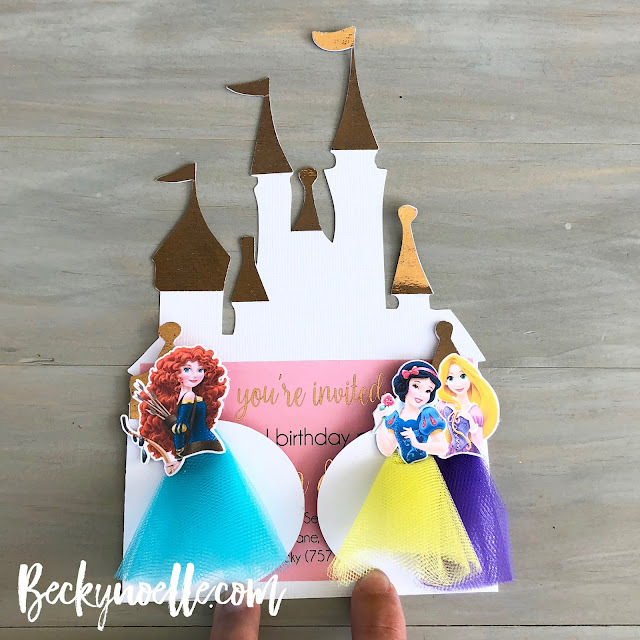 It's time for a new color challenge for the Inky Paws Challenge Blog and it's such a fun and bright color scheme! 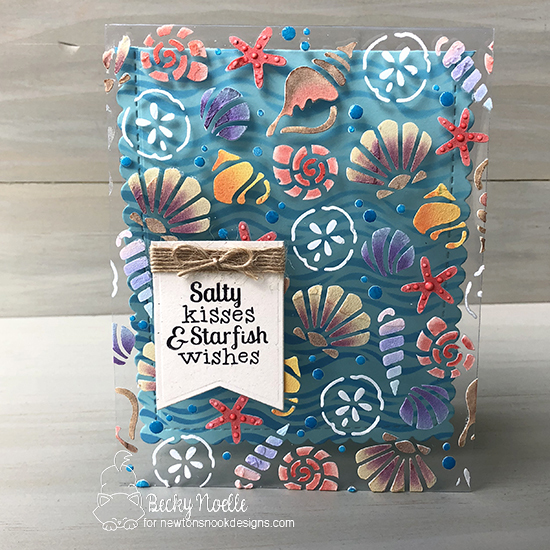 It's pink, orange, yellow, and blue and I decided to go with watercolor (not my strong suit) for this card with my Zig Clean Color Real Brush Pens and the sweet florals from the Newton's Nook Designs Peony Blooms stamp set. I did some masking to stamp all of my flowers in Versafine ink and then colored everything with my Zig pens and some water, then I masked off the flowers again and inked up the paper between the flowers with some distress ink. 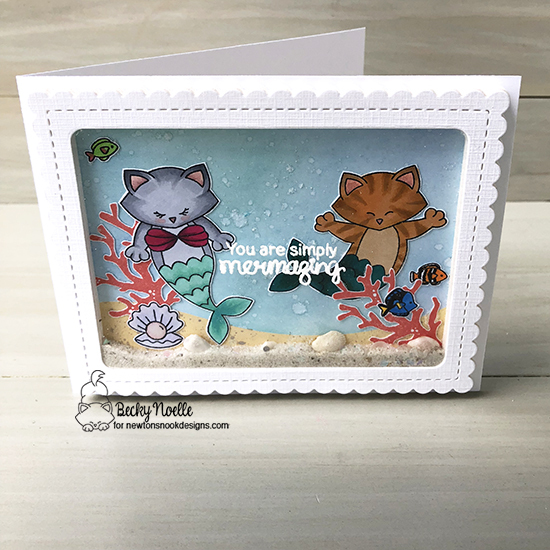 I fussy cut around the outside edges of the flowers and then added the colored piece to a card base with some foam tape. simple, but super pretty and vibrant! 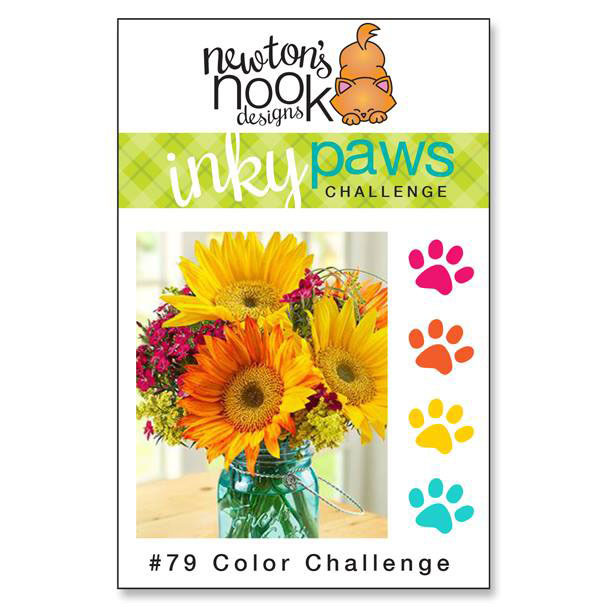 Come join us for this challenge for a chance to win $20 in store credit to the Newton's Nook Designs online store and check out the Inky Paws Challenge Blog for more inspiration with this color challenge! 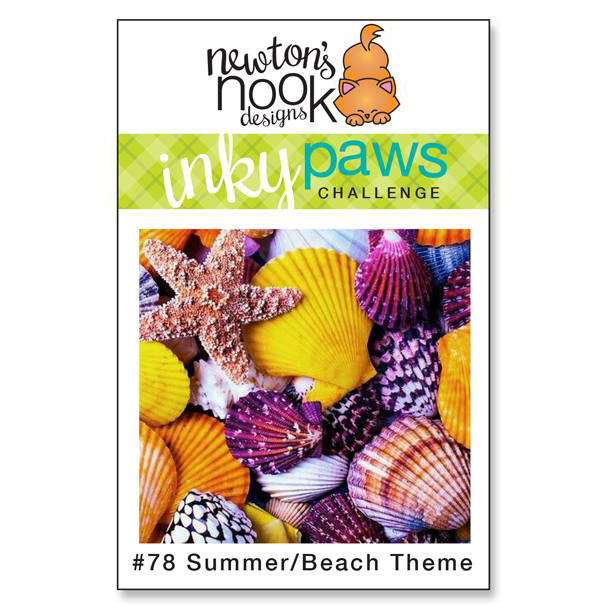 I've got another card for the Beach/Summer Theme card challenge for Newton's Nook Designs Inky Paws Challenges today! 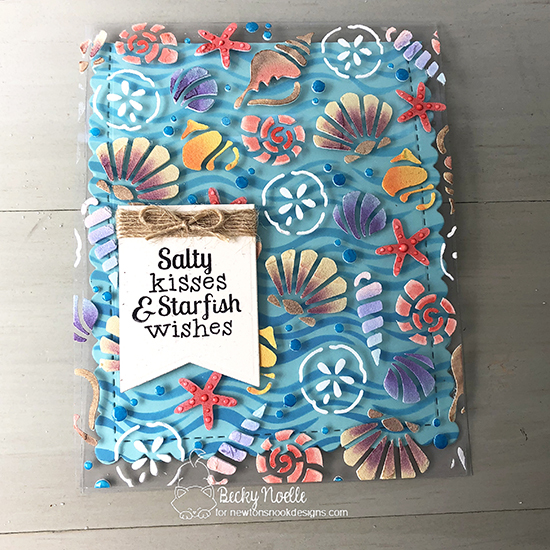 Today's the start of a super fun new summer or beach themed challenge for the Newton's Nook Designs Inky Paws Challenge Blog! 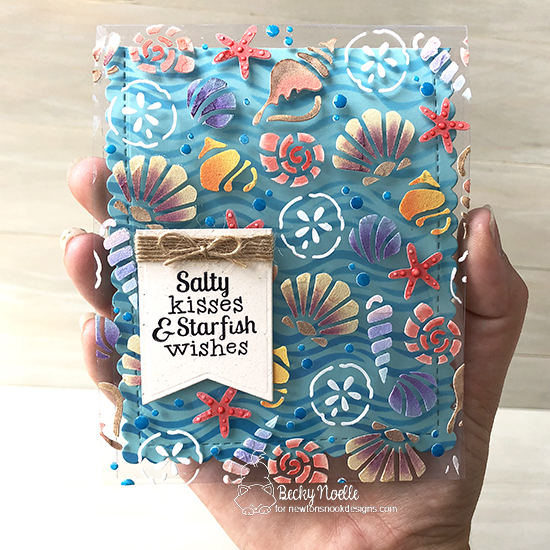 I used Ranger Texture Paste and the Newton's Nook Designs Seashells Stencil on a clear cardbase and then inked up all of my seashells with Distress Oxide inks and a bunch of masking. I've been working so hard on catching up on picture printing for my project life albums lately. 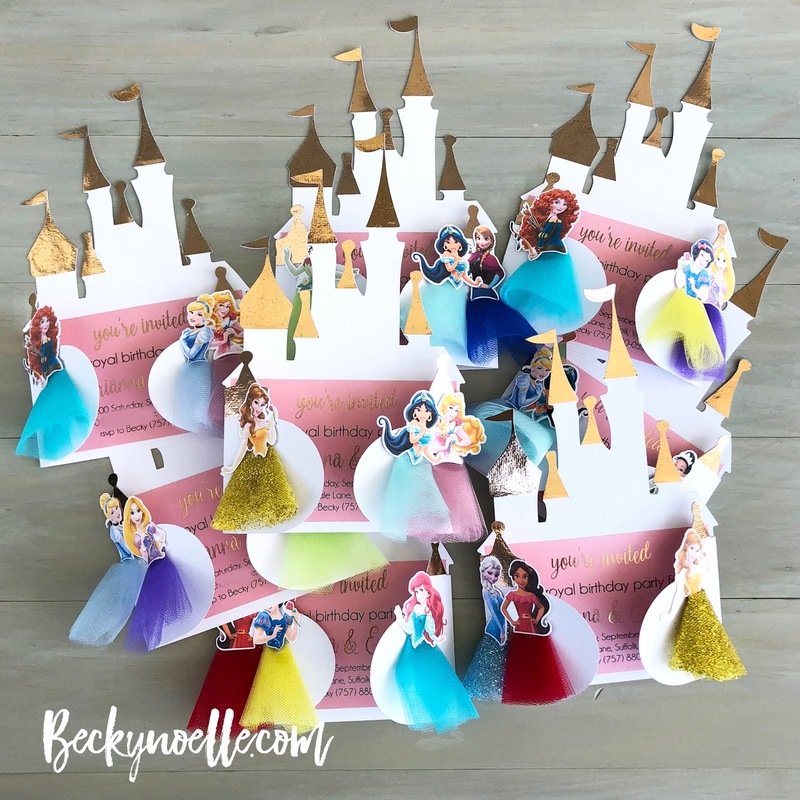 I was super behind and I decided to print them all before I get back to decorating any, I'm so close to being caught up now! I started in April (i think?) and I've printed 5 full albums, I'm mostly done with 6 (just two months to print) and then I have only one album left!!! (and two December Daily albums, but those can wait a little bit longer...) The album I'm currently printing is last year's (2017) and it's insane to see how much the girls have grown in the last year, especially Emma! 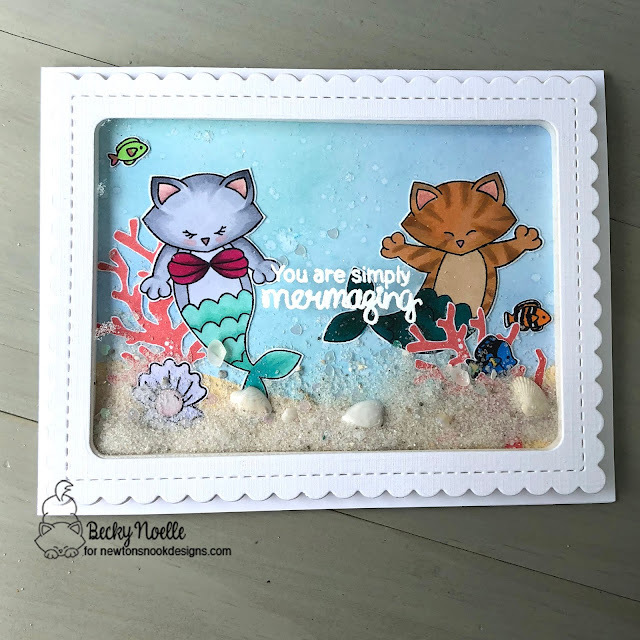 Anyways, please come check out all of the fun inspiration for this challenge at the Inky Paws Challenge Blog and play along with us!